Made in Taiwan and crafted from quality stainless steel, this pair of Korean style long stainless steel chopsticks is a great addition for families or individuals looking for a pair of user-friendly and durable chopsticks. Durable and hardy, this pair of long stainless steel chopsticks will last longer than your average pair of plastic, wooden, or bamboo chopsticks. Featuring a smooth shiny surface, this pair of chopsticks is also easy to clean and maintain. Popular in Korea, metal chopsticks were used by the royalty in the past, today, stainless steel chopsticks are preferred in many Korean restaurants and home for their sanitary and sturdy property. 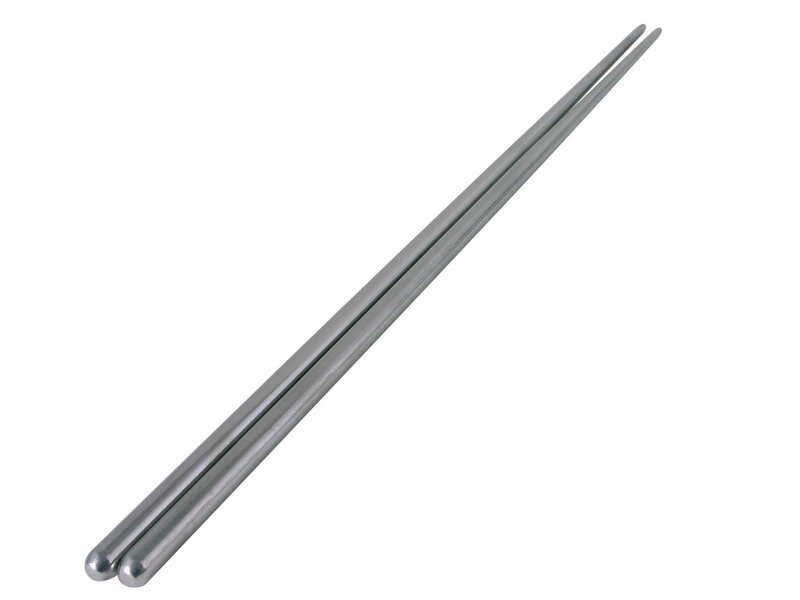 This pair of long stainless steel chopsticks will also work great for food preparation. Perfect for stirring, mixing and whipping food items, this pair of versatile and durable chopsticks is dishwasher safe, and will make a great addition to kitchens and dining tables.